Alba’s Grocery Store is a corner grocery located just above the North Philadelphia neighborhood in Huntington Park. The store is owned and operated by Catalina Hunter. Alba Grocery Store needed to upgrade its facilities. 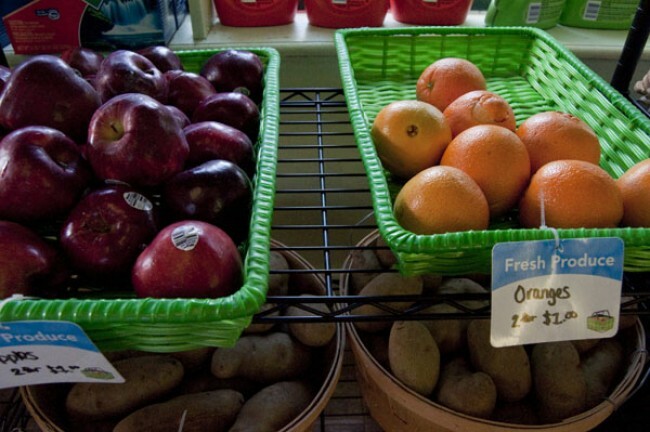 A new store front, new produce cases and shelving were identified as key priorities. The store received funding from the city as part of the Storefront Improvement Program, which helped with windows and awnings. She also received money from The Food Trust as part of the Healthy Corner Store Initiative. TMF’s grant added to the pot, and Alba Grocery Store was able to complete its projects and strongly implement the healthy food focus. The store will continue to provide quality fresh and healthy food to her customers.